Above: The second pole is lowered onto the column. Above: Success. Both poles are now secure on top of the columns. 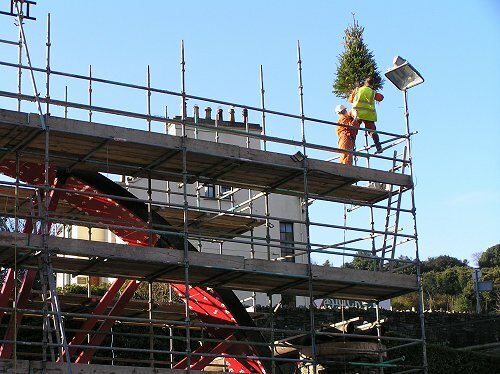 spirit and set up a tree on the scaffolding. 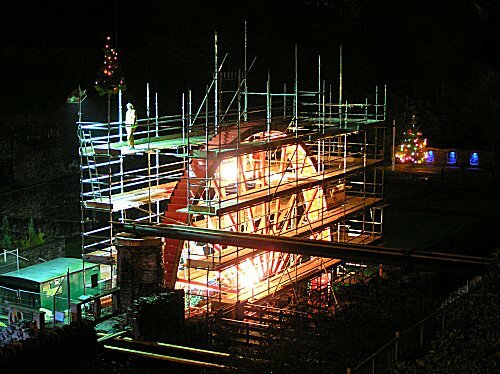 Above: The wheel at night looking down across the washing floors. from all the project team.